This is a photo of the front range light for Grand Harbor Michigan. This range light is located on the Upper Peninsula of Michigan just west of Munising. 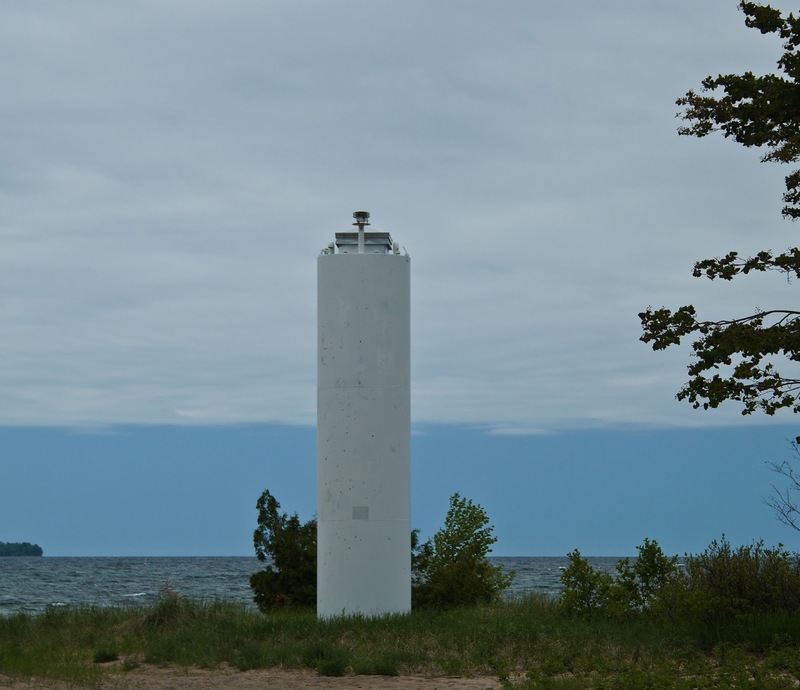 On my travels around the Great Lakes area, I have found that they often use a set of range lights instead of a lighthouse to guide the ships. Range lights are a pattern of lights, usually on the shore, that help to guide the ships through narrow passageways. 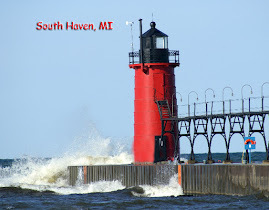 The first time I saw a range light was in Bailey's Harbor in Wisconsin, but I have seen several since then especially along the Michigan coast of the Great Lakes. The ones that I have seen consist of two lights a front and a back range light. This black and white light is the rear range light for Grand Harbor. You will notice that it looks much more like a typical lighthouse than the front range light pictured above. In the case of Grand Harbor, I found the front range light located on the shore and the rear range light just across the street in a wooded area. 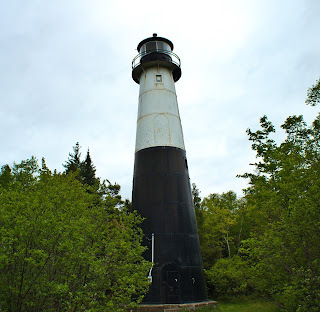 For more information on Michigan lighthouses I visited in the Upper Peninsula, stop by my article at Michigan Upper Peninsula Lighthouses. 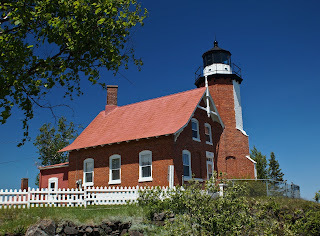 Eagle Harbor lighthouse is located on the Keweenaw Peninsula in Upper Michigan. 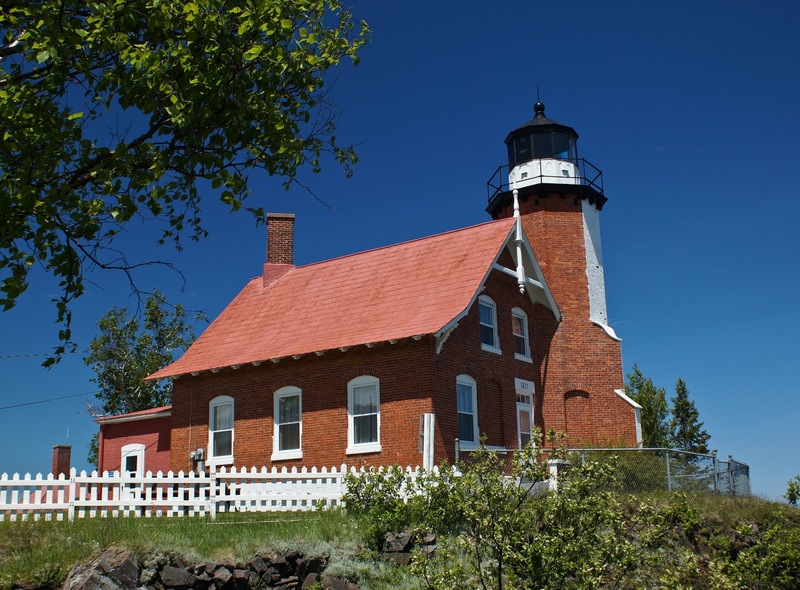 It sits on the rocky coastline of Lake Superior It is said to be the most visited and photographed lighthouse on the Keweenaw Peninsula. 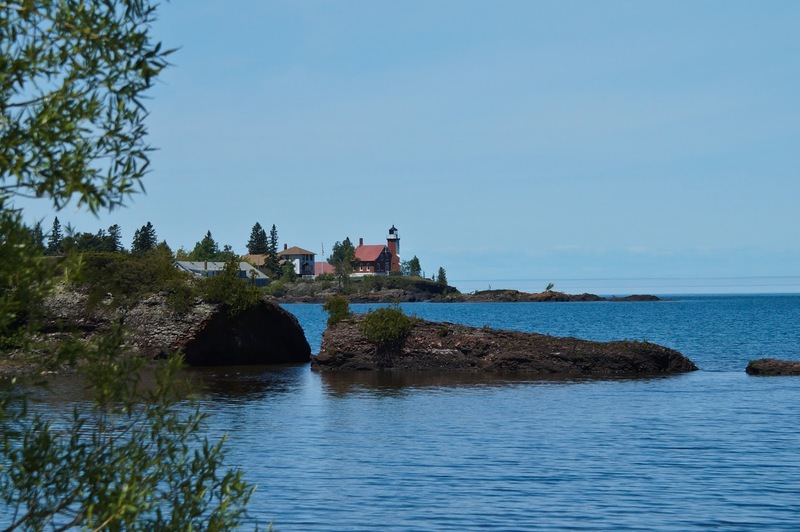 In the summer of 2013, I traveled up the Keweenaw Peninsula and made a stop at the Eagle Harbor lighthouse. It is a beautiful lighthouse and well preserved. I visited the light, took a tour of the lighthouse and grounds and of course took lots of photographs. The photo above was taken from across the harbor. 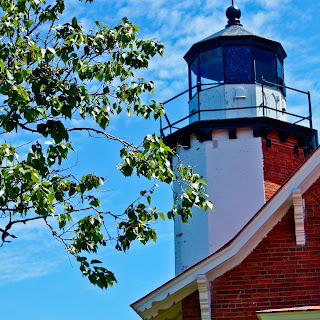 As you travel around the town of Eagle Harbor there are lots of places to get great photos of the lighthouse. This photo was taken while I was touring the grounds. It gives you a close up view of the light tower.